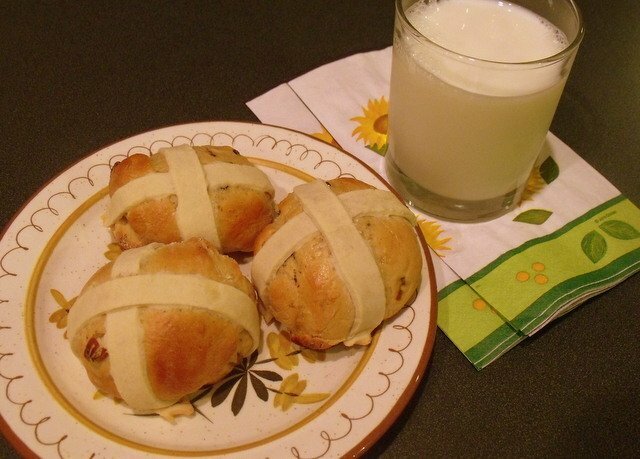 Hot cross buns are an Irish and English Easter tradition. Soft, spiced and fruited yeast rolls, they are marked with a cross to symbolize the crucifix, and are baked and served on Good Friday. 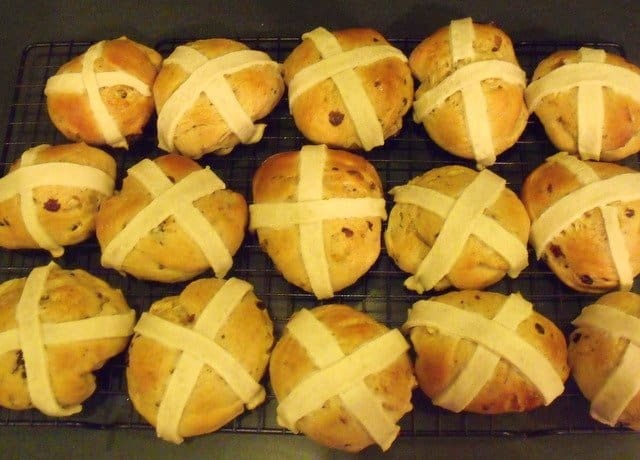 As a child I made hot cross buns with my mom. Unlike their American counterparts, crossed with sugary frosting, we used pastry to decorate our buns with symbolic crosses. 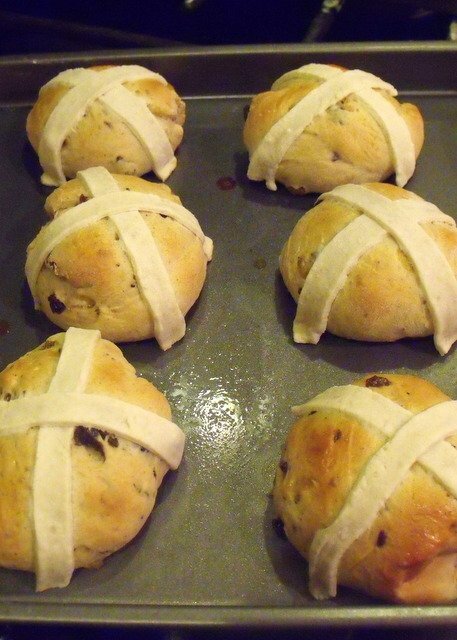 Staying true to our family tradition, my hot cross buns are marked with a pastry cross. I included the ingredients for a very simple pastry in this recipe. 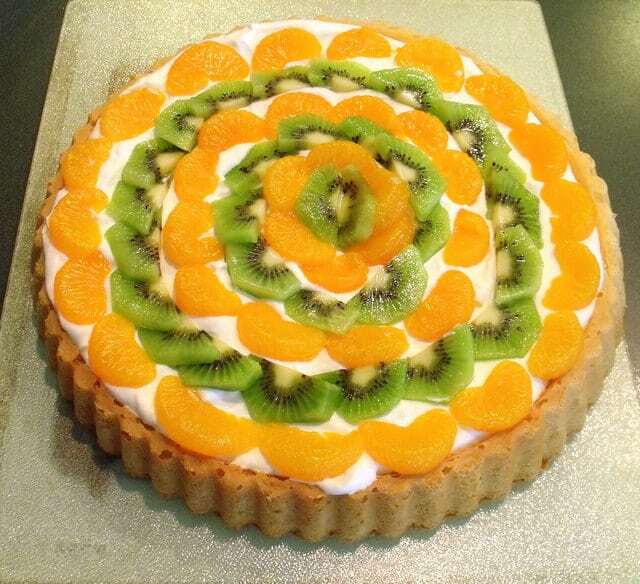 If you don’t fancy the hassle of making pastry, feel free to purchase a pre-made pie dough for decorating. 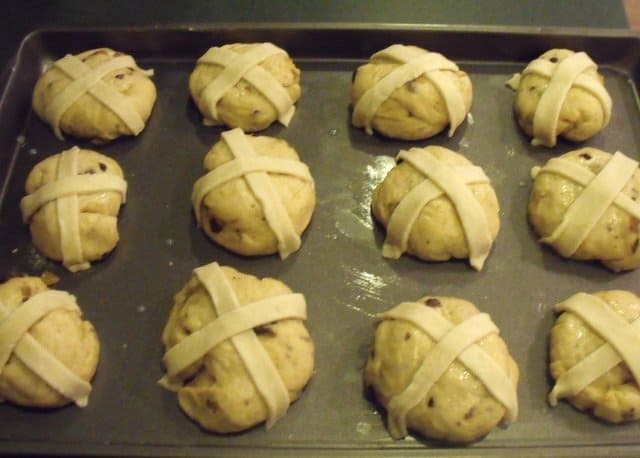 Baking hot cross buns is not a simple process. 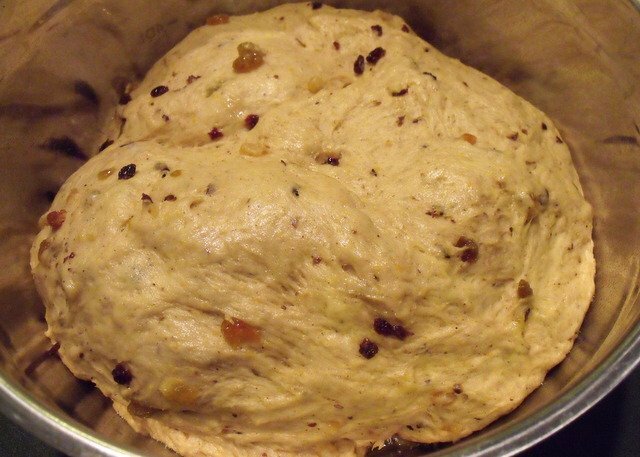 There are many steps involved and the yeast dough must be given time to rise on two occasions. 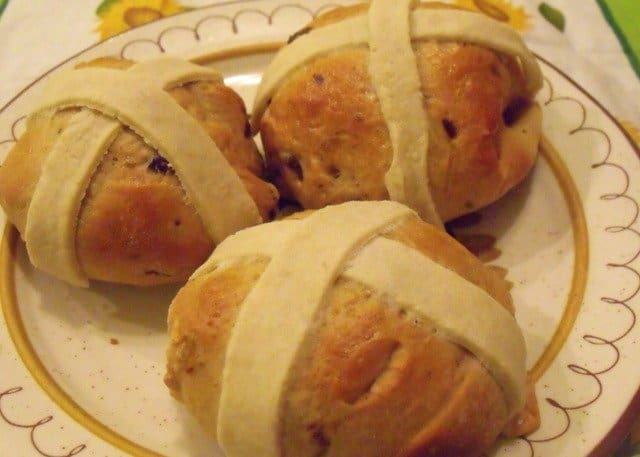 But mark my word, these hot cross buns are well worth the trouble. I understand why my mom made them only once a year!!!! First heat the milk to 110 degrees in a small saucepan. A temperature between 105 and 115 degrees works for activating the yeast. 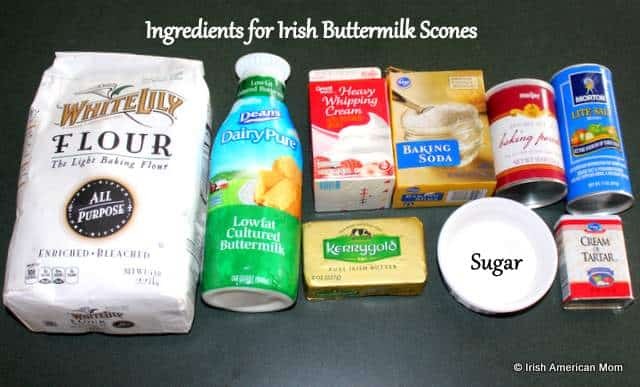 Sprinkle 5 teaspoons (two packets) of yeast and one teaspoon of sugar into the milk and stir together. Then set the mixture aside for 10 minutes and let the magic foaming begin. While the yeast is busy doing its thing, sift the bread flour, cinnamon, cardamom, all spice, nutmeg, cloves and salt into a large bowl. 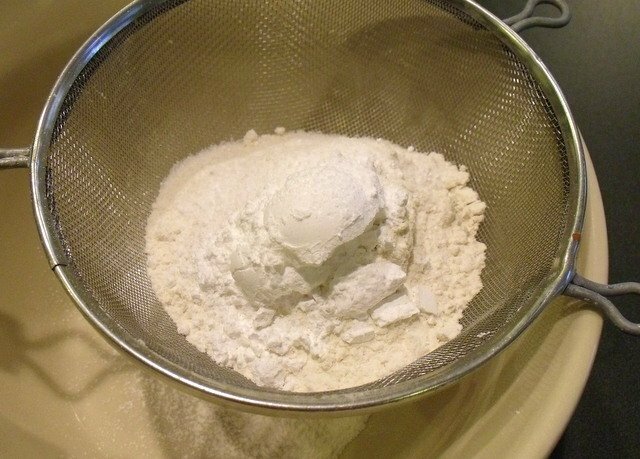 I use the bowl of my electric mixer, since its wonderful dough hook does all my kneading work. 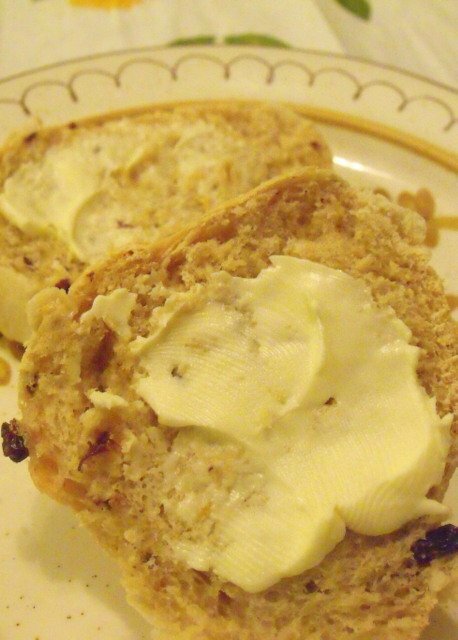 In Ireland we used a special spice mix we call “mixed spice” and cinnamon to flavor hot cross buns. 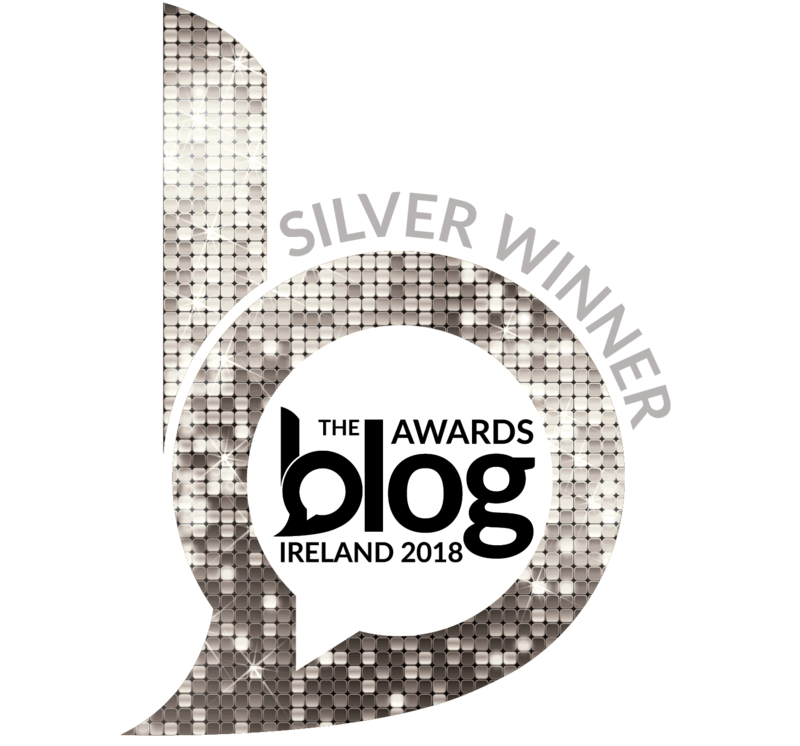 This Irish and English spice blend is not available in America, but I find the mix of spices I use in this recipe produces a great end result. 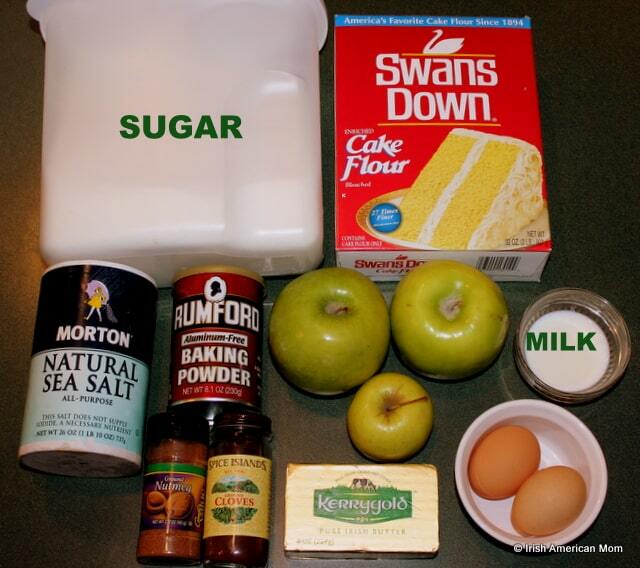 Next toss in the sugar and cut up the butter into the flour. 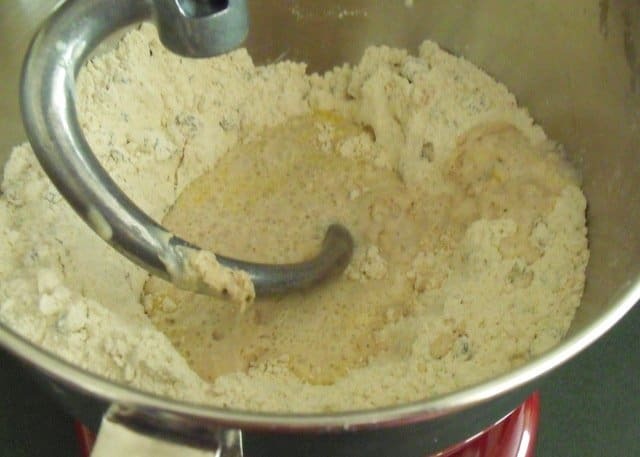 Using your clean fingers or a pastry blender rub the butter into the flour until it resembles coarse meal. Next toss in the currants, golden raisins and candied orange peel. 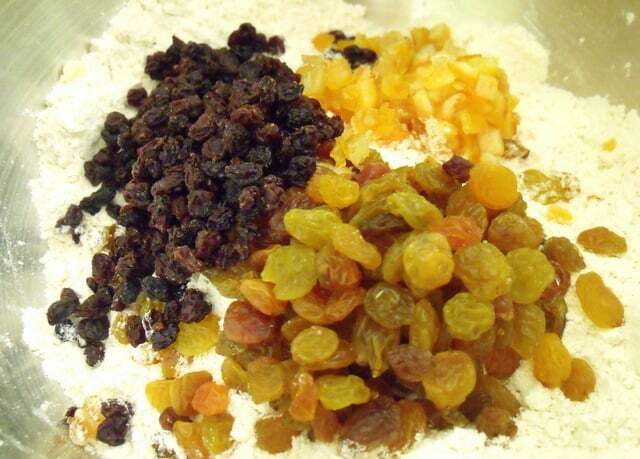 If you can’t find currants just use regular raisins, and if you can’t find candied orange peel just substitute mixed peel. 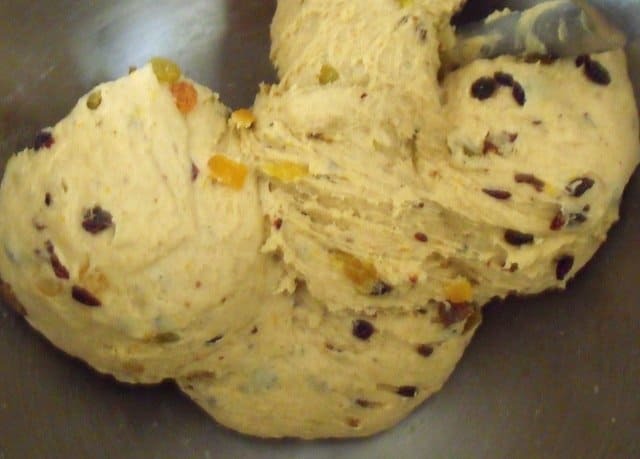 The exact dried fruit blend used is totally up to you and your taste preferences. Add the grated orange zest. Two teaspoons is equivalent to the peel of one large orange. Don’t forget to wash the orange before grating the peel. 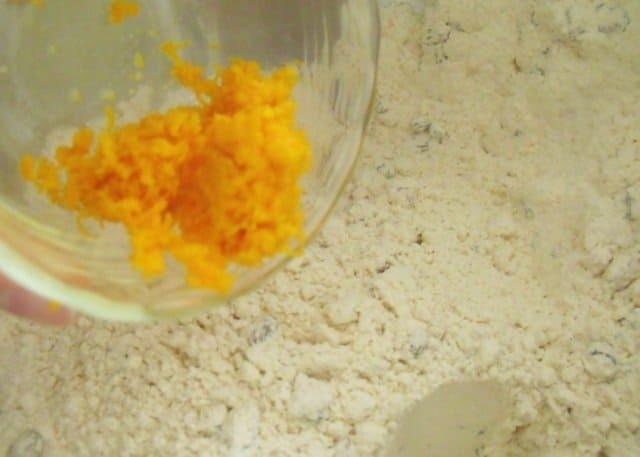 In a small bowl whisk together one egg and one egg yolk. 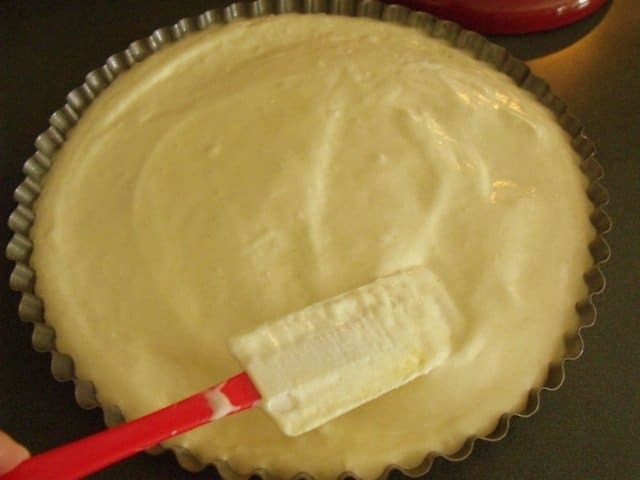 Cover the additional egg white and store it in the fridge. 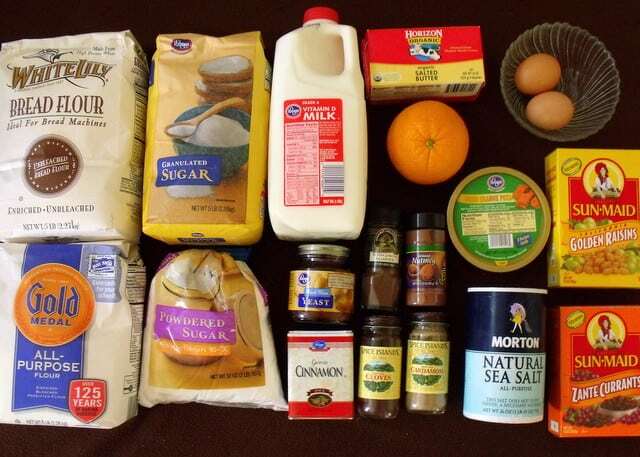 We will use it later to make the egg wash to brush the buns before baking. 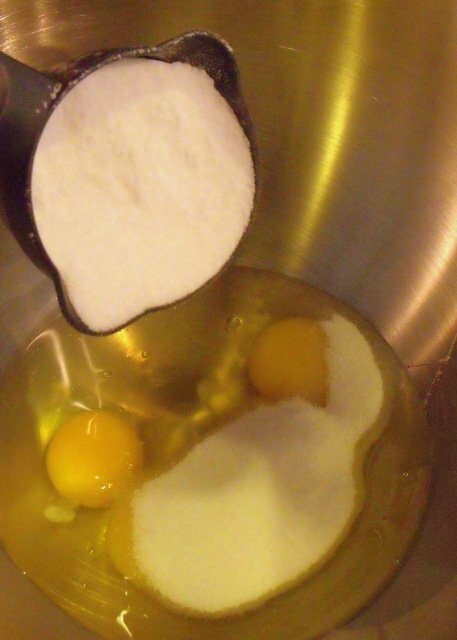 Make a well in the center of the flour mixture and pour in the whisked eggs. 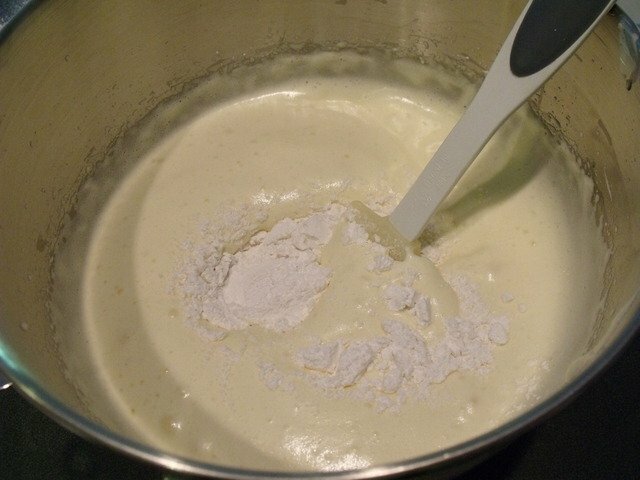 Here is a picture of my milk and yeast mix, all foamed up and ready to work on the fruited dough. 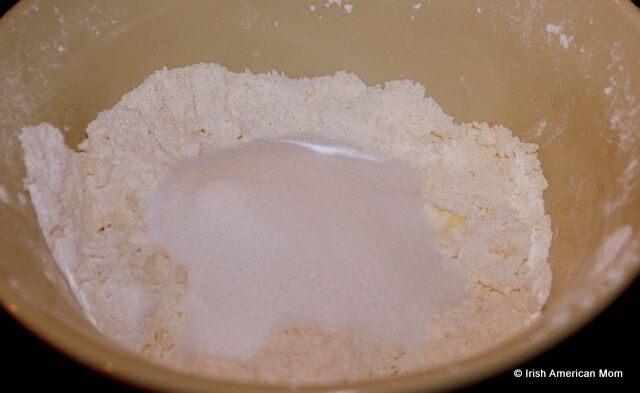 Pour the yeast mix into the flour well. 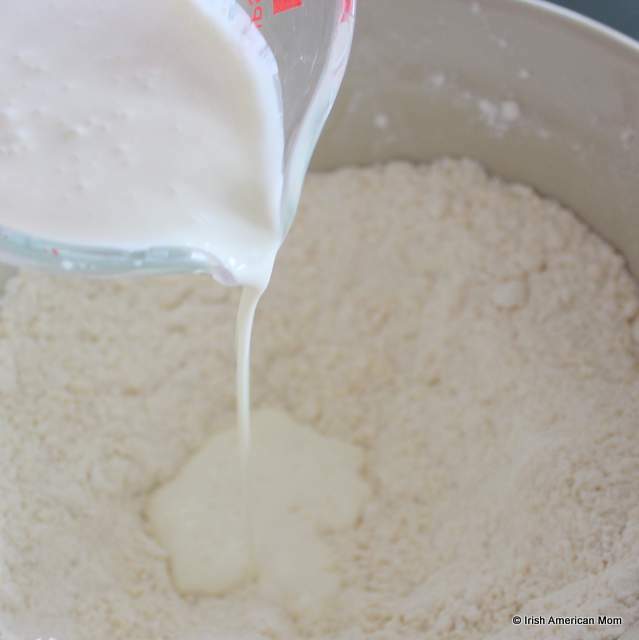 Using the dough hook on your electric mixer knead the dough for 10 minutes. My big red mixer is the best Christmas present ever. I call it “Deputy Dawg” since I deputize all kneading tasks nowadays. 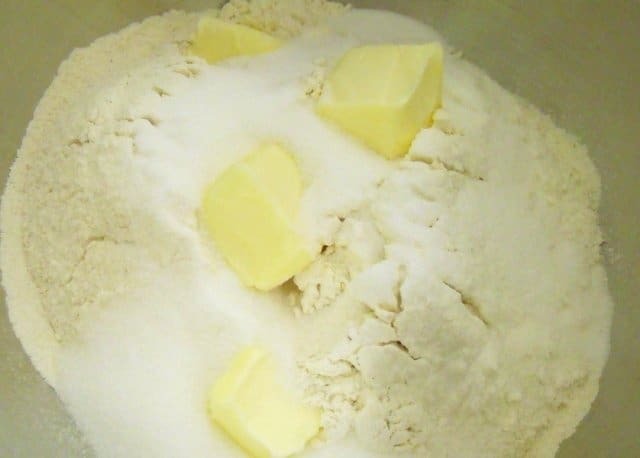 If you don’t have a mixer with a dough hook, you can combine the ingredients together with a spoon, then turn the dough ball out onto a floured surface. Then the fun begins, kneading the dough for 10 minutes by hand to form an elastic, sticky ball. Transfer the dough ball to a clean metal bowl sprayed in oil. 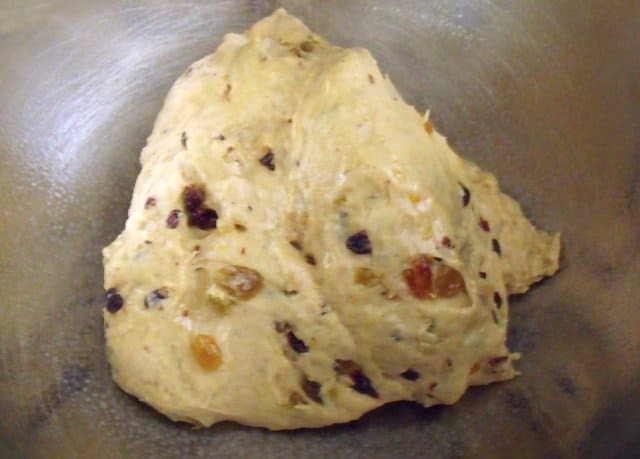 Then spray the top of the dough with oil also. 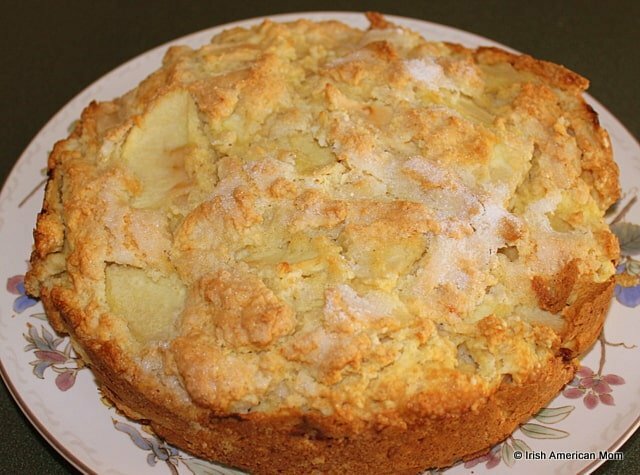 It’s time for a long rest – for the dough, not the poor cook. 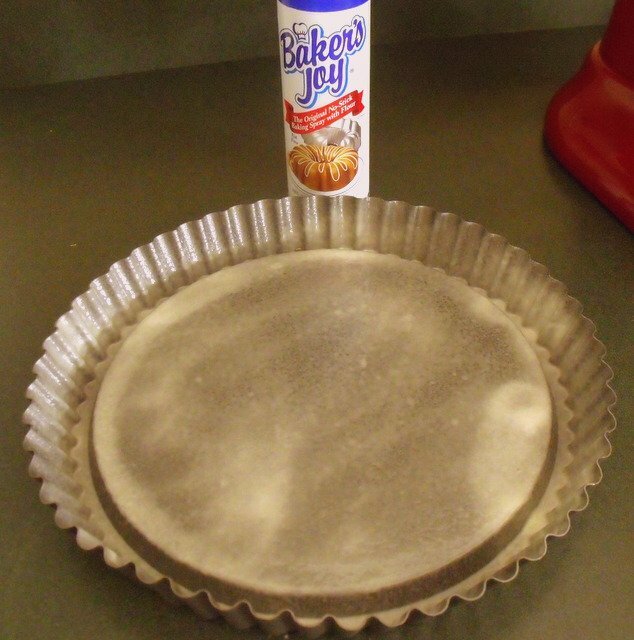 Cover the dough in plastic wrap, or stick to the old fashioned way and cover the bowl with a clean dish towel. 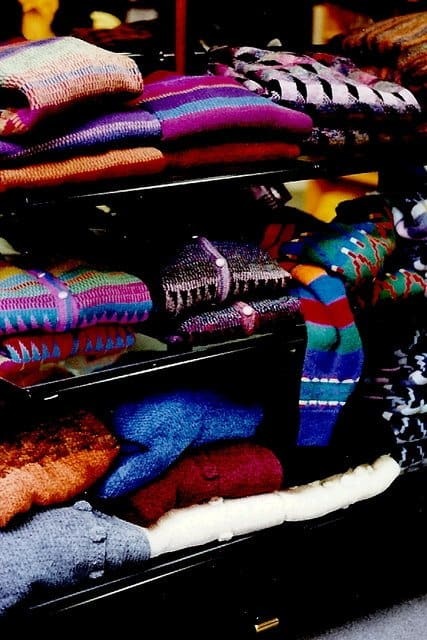 Let it rest in a warm place away from all cold draughts for a minimum of 90 minutes. If you have two hours to wait, all the better. 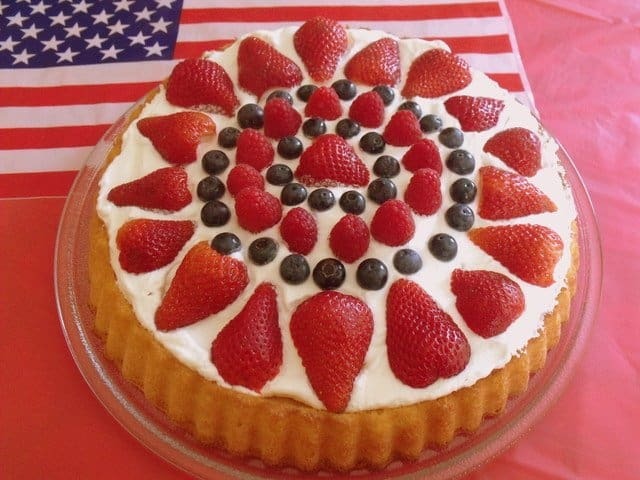 While the dough is rising in the bowl, make the pastry for decorating the buns. 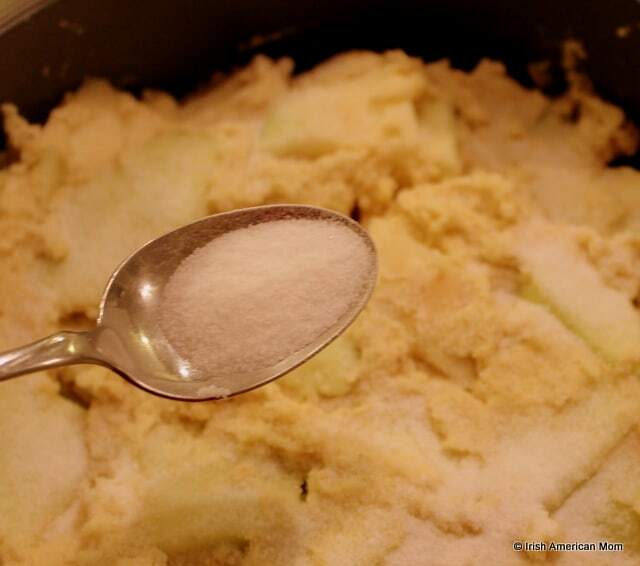 Sift the flour, confectioner’s sugar, and salt into a clean bowl. Combine the butter using your clean fingers or a pastry blender to form that famous coarse meal texture. 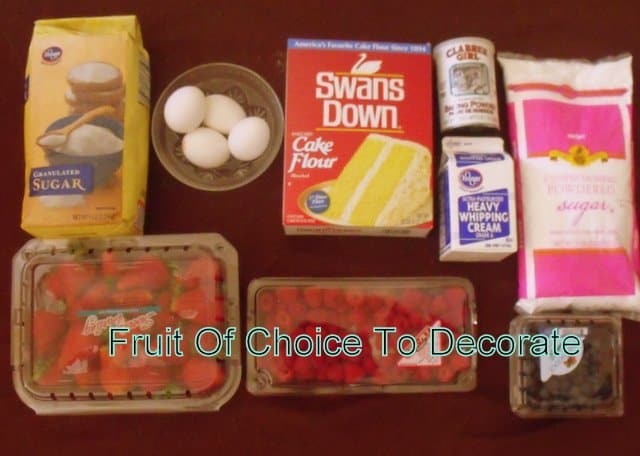 This pastry recipe is not one I would use for making a pie. It is very basic and simple, but perfectly adequate for our decorating purposes. 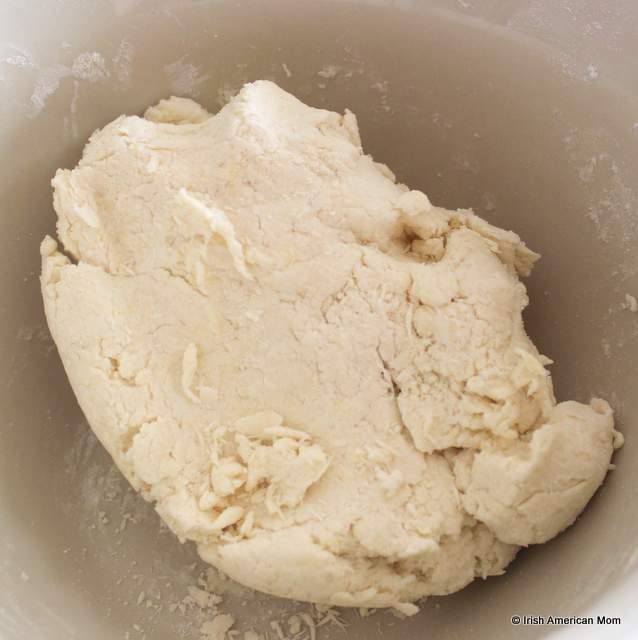 Pour the cold water into the flour mixture and form a firm dough ball. Add the water slowly, to make sure you do not add too much. 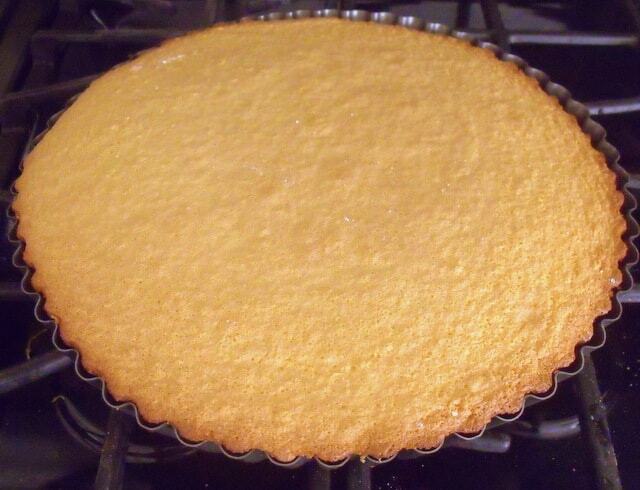 Cover the pastry and keep it in the refrigerator until ready to roll out. 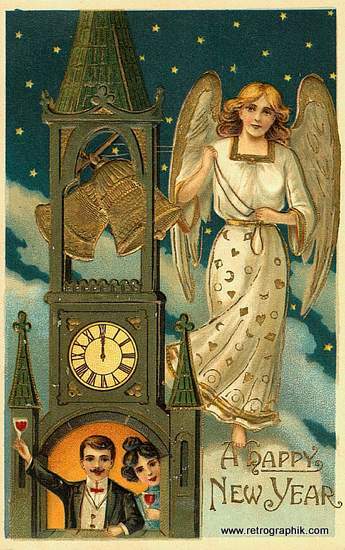 There’s still an hour left before our decoration step. After 2 hours our fruited dough should have doubled in size. 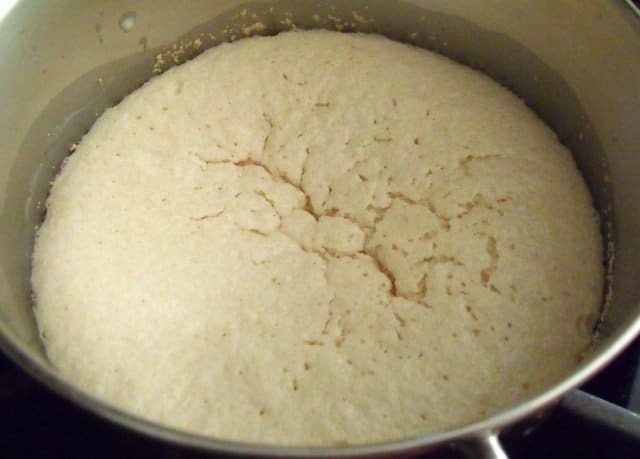 The chemical power of yeast never ceases to amaze me. 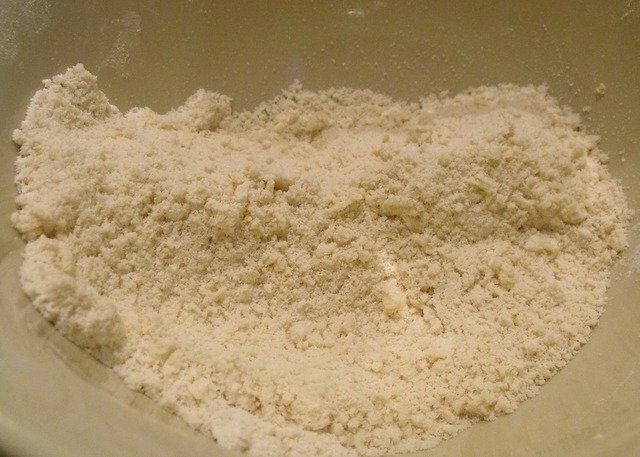 Turn the dough out onto a floured surface and knead lightly. Break into two pieces. Roll and knead each piece to form a log about 12 inches long. Cut each log into 12 equal dough slices. 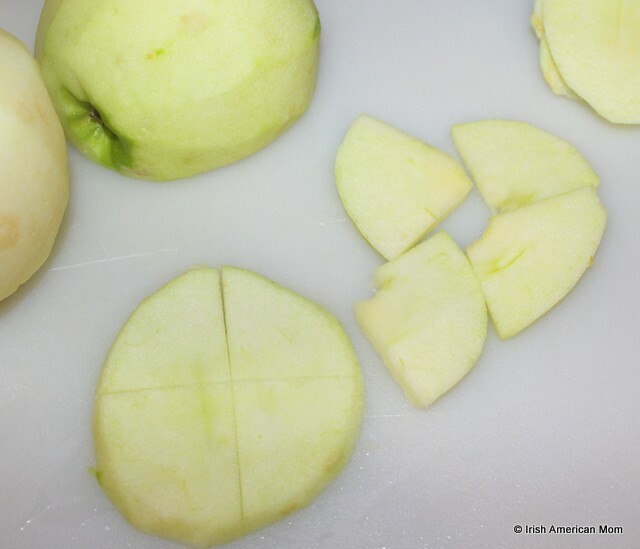 I like to halve each one, then quarter them before slicing each quarter into three pieces. 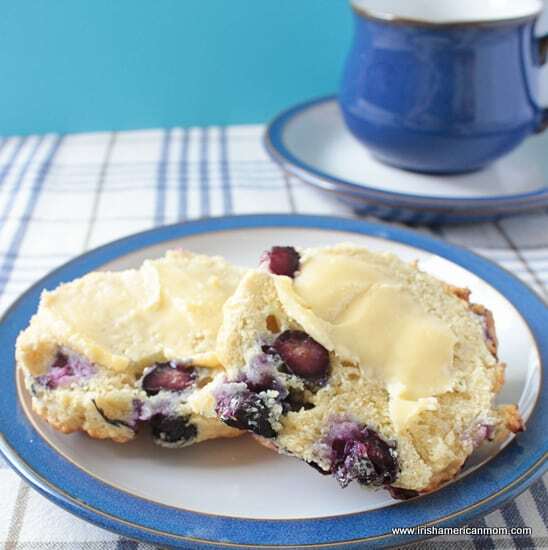 With lightly floured fingers and palms take each dough slice and knead and mould into small, equal dough balls. Butter two large baking sheets and place each dough mound about 1 and 1/2 inches apart on the surface. Time to rest again. 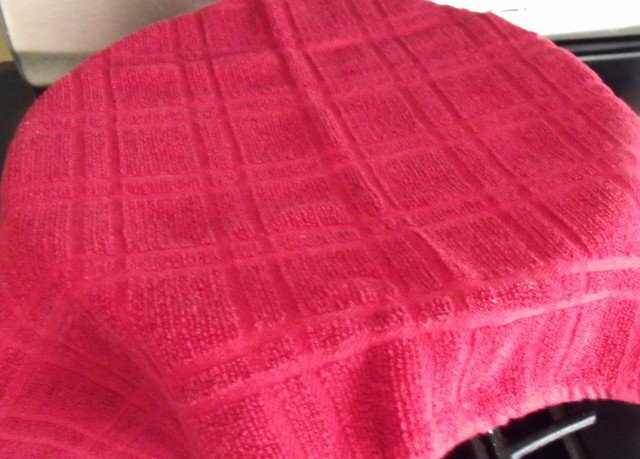 Cover the baking sheets with clean dish towels. Feel free to use saran wrap, but I like to avoid wasting plastic as much as possible. 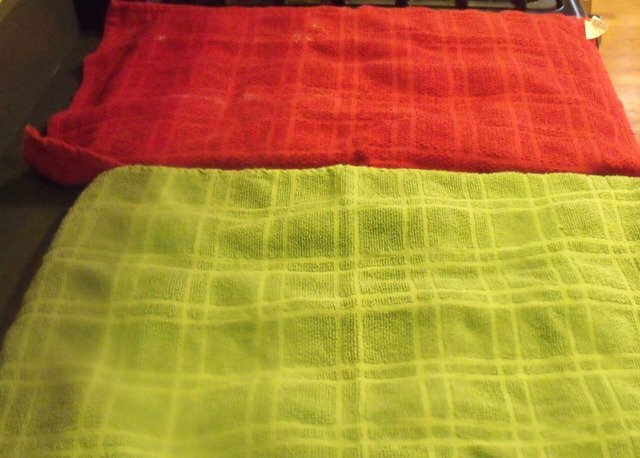 You can’t beat a good, old dish towel. Let the buns rest for another 45 minutes in a nice warm spot. After about 30 minutes pre-heat the oven to 400 degrees Fahrenheit. 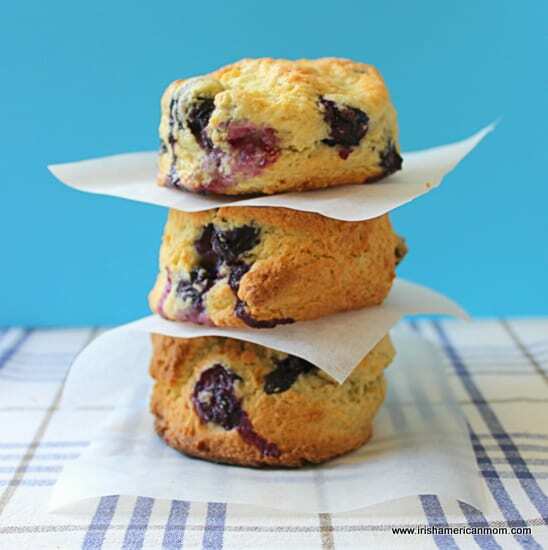 Roll out your pastry into a rectangular shape. I aim for a piece about 12 inches by 8 inches. I cut it into 16 strips about 1/2 inch wide. Then I make three perpendicular cuts to create 48 pieces about 4 inches long. Sometimes I make 17 strips to allow extra in case any pieces break when I am decorating. 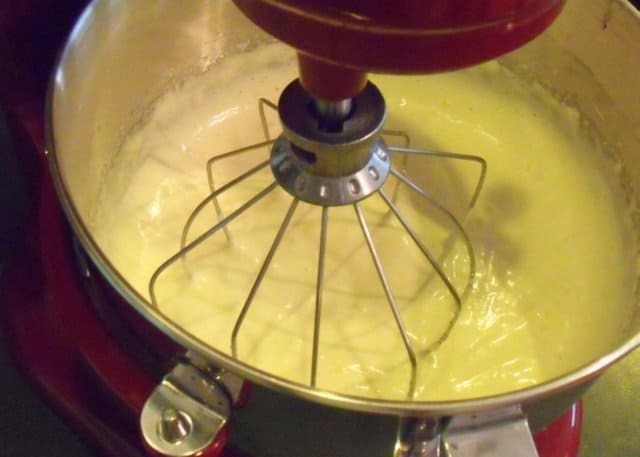 Retrieve the egg white from the fridge and whisk it together with a dash of milk. 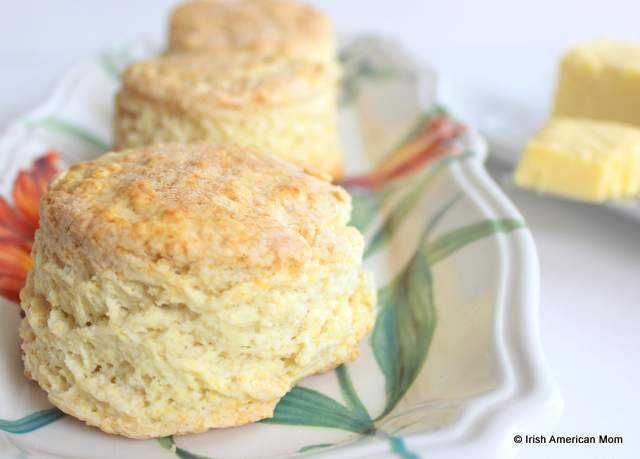 Then brush this egg wash onto the top of the risen buns. They should have doubled in size again. I know some cooks like to use a whole egg to make the egg wash, but I find this goes a very deep brown color when baking. I just prefer the golden shade produced by an egg white wash.
Take the pastry strips and create a cross on top of each bun. 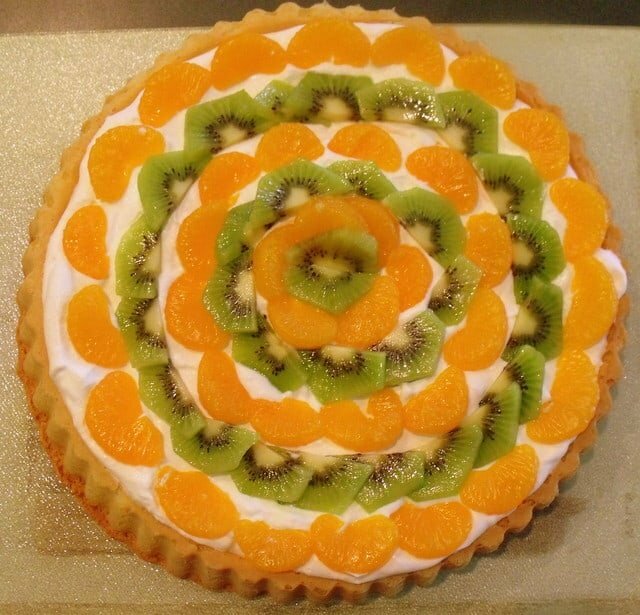 I do not brush the pastry with the egg wash. I like it to remain a lovely contrasting pale color when cooked. 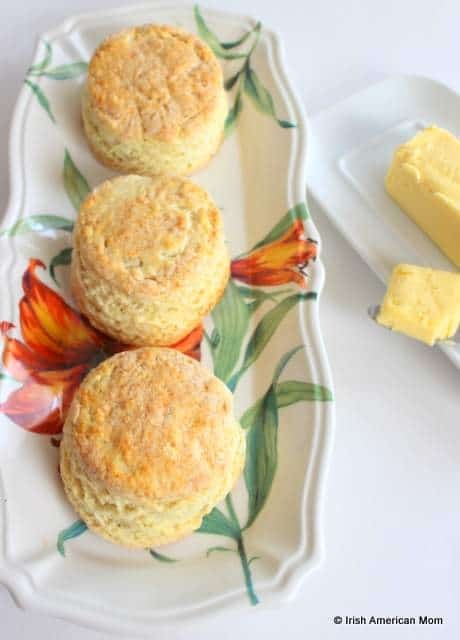 Break off any excess pastry at the base of each bun. Bake in the pre-heated oven for about 15 minutes. With two baking sheets, I place one on the middle rack and one on the lower rack. After about 8 minutes of cooking I switch the trays around. 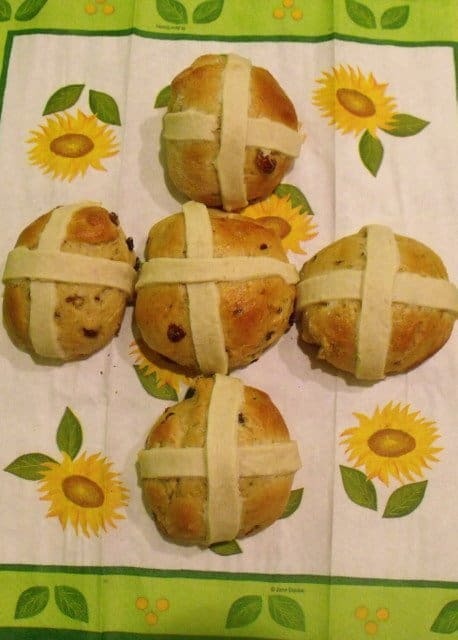 The hot cross buns are cooked when they turn a lovely golden color. 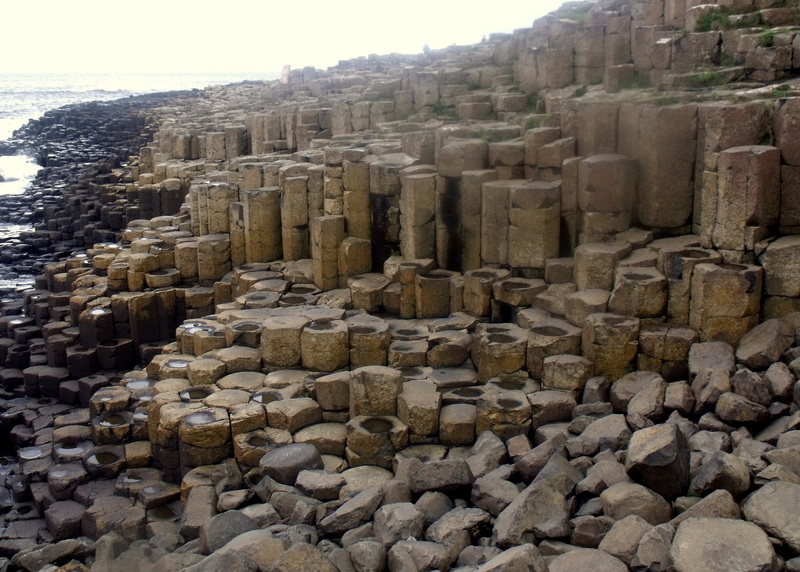 Cool then on a wire wrack. 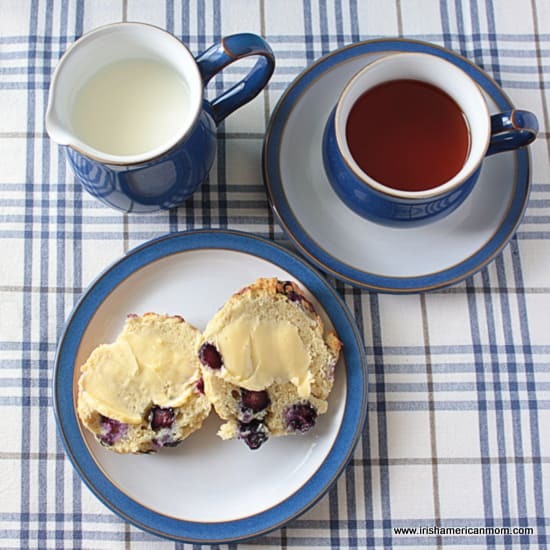 I like mine served warm with a glass of milk. 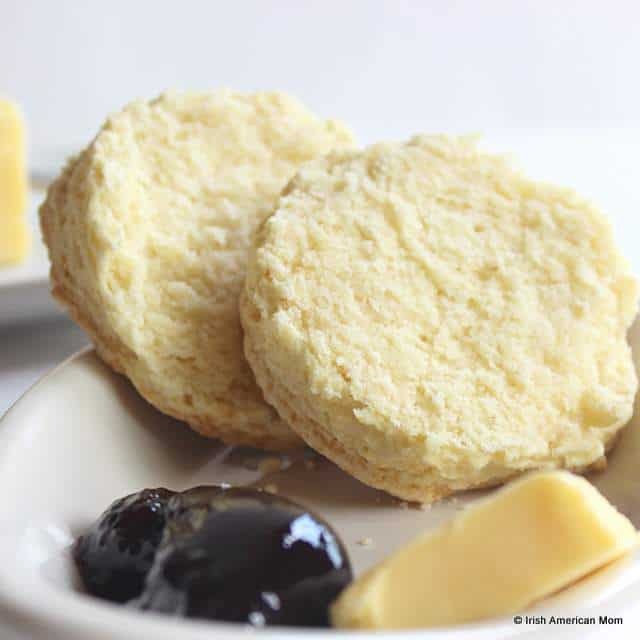 They are delicious slathered in butter or add some jam for a lovely sweet addition. 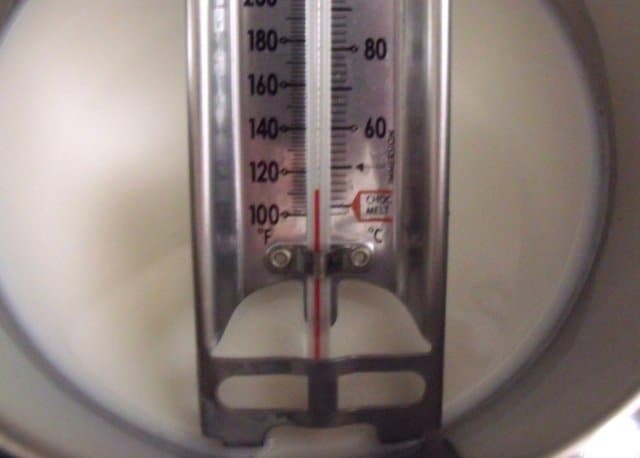 Step 1 Heat the milk in a small saucepan to 110 degrees Fahrenheit. 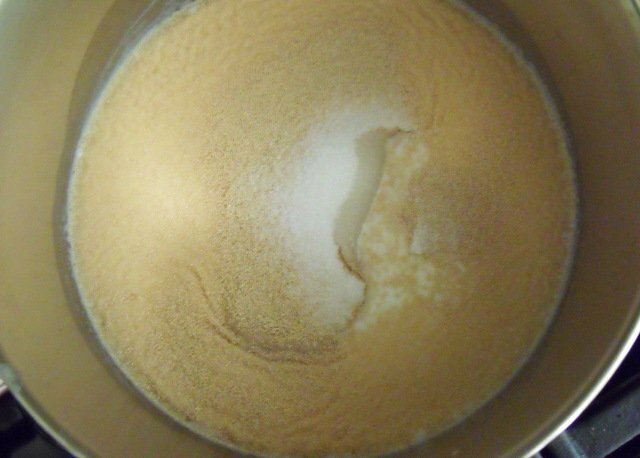 Step 2 Sprinkle the dry yeast and 1 teaspoon of sugar over the milk and stir together. 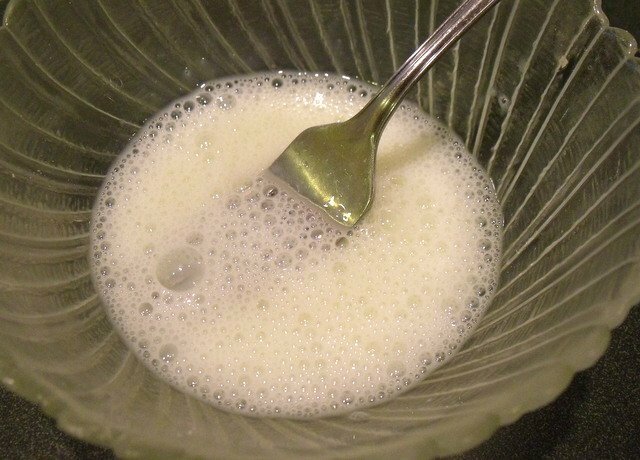 Let stand for 10 minutes until the mixture is foamy. 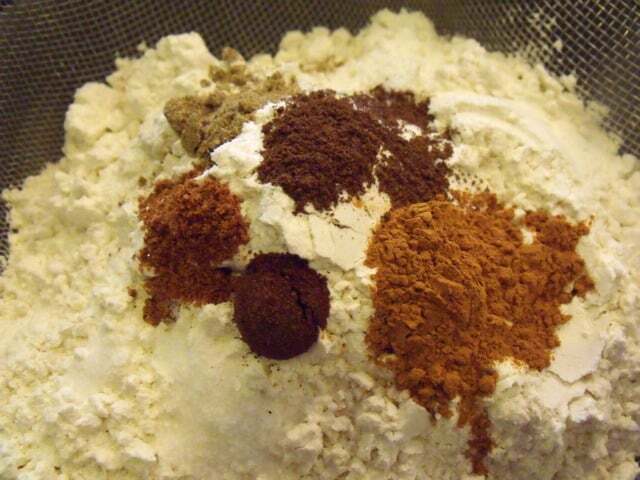 Step 3 Sift the bread flour, spices and salt into a large bowl or the bowl of an electric mixer. Step 4 Add the sugar to the flour. 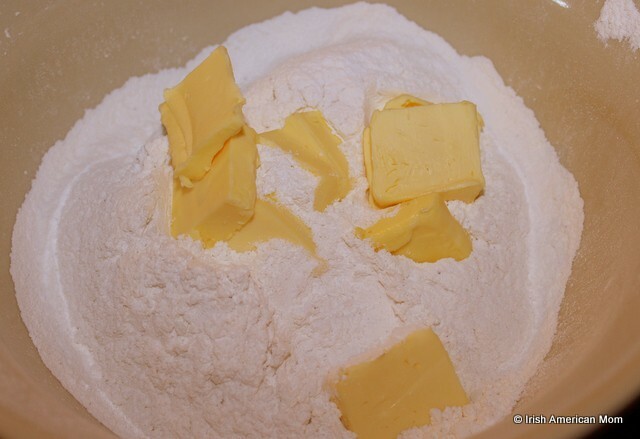 Step 5 Cut the butter into the flour and blend together using your fingertips or a pastry blender. 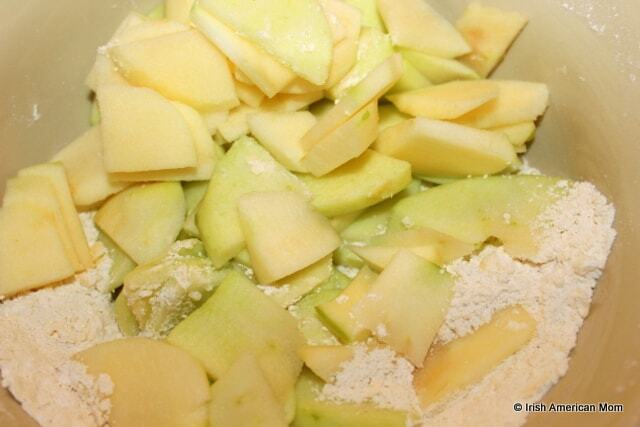 The mixture should resemble coarse crumbs. 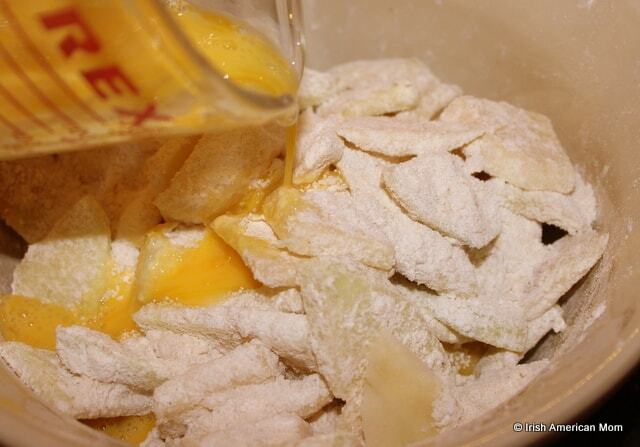 Step 6 Add the dried fruit, candied peel and orange zest to the flour, combining well together. 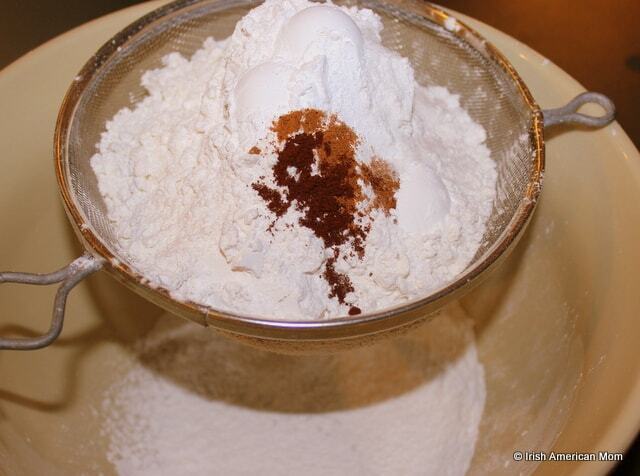 Step 7 Make a well in the center of the flour mixture. 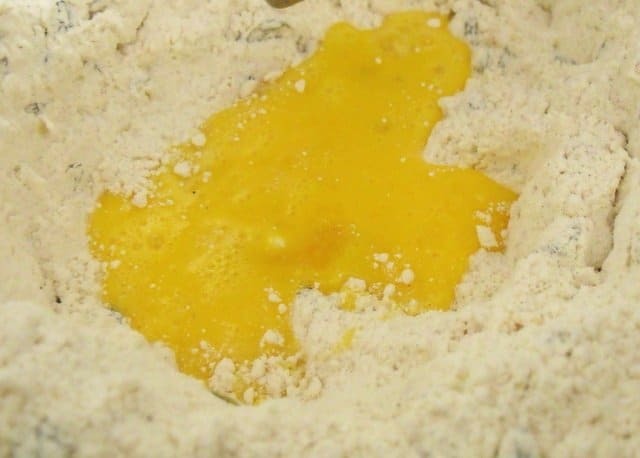 Beat one egg and one yolk together and pour into the center of the flour mixture. Step 8 Pour the foamy yeast and milk into the well in the flour. Step 9 Using the dough hook of the electric mixer knead on low speed for 10 minutes forming an elastic, sticky dough ball. 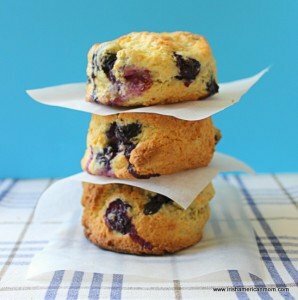 If you do not own an electric mixer, combine the ingredients with a spoon, then turn onto a floured surface and knead by hand for 10 minutes. Step 10 Spray a large metal bowl with oil. 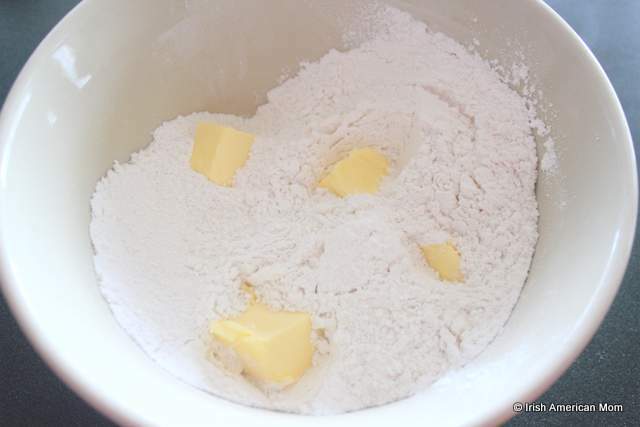 Transfer the dough ball into the bowl and spray the top of the dough with oil. Cover with saran wrap or a clean dish towel. 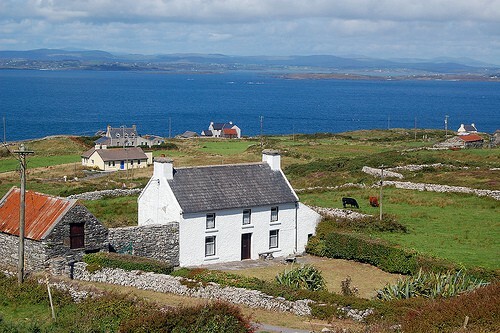 Allow to rest for a minimum of 90 minutes in a warm place, free from draughts. Step 11 While the dough is rising make the pastry for decorating the buns. 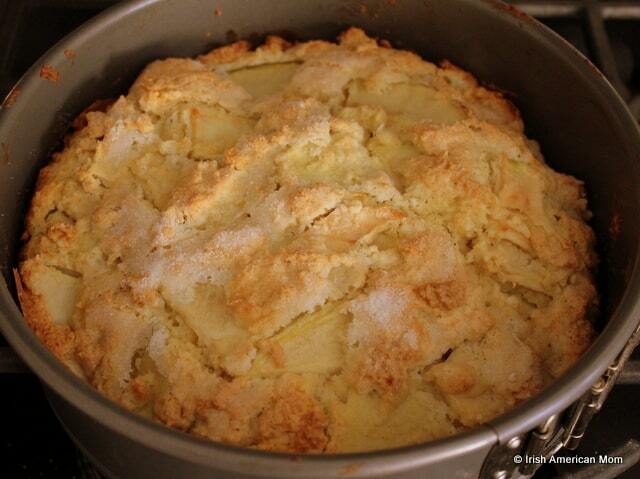 Sift the flour, confectioner's sugar and salt into a clean bowl. 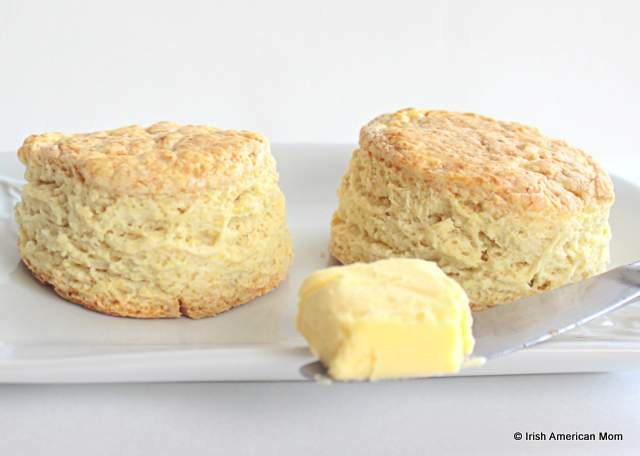 Step 12 Blend the butter by rubbing between your fingertips or by using a pastry blender. 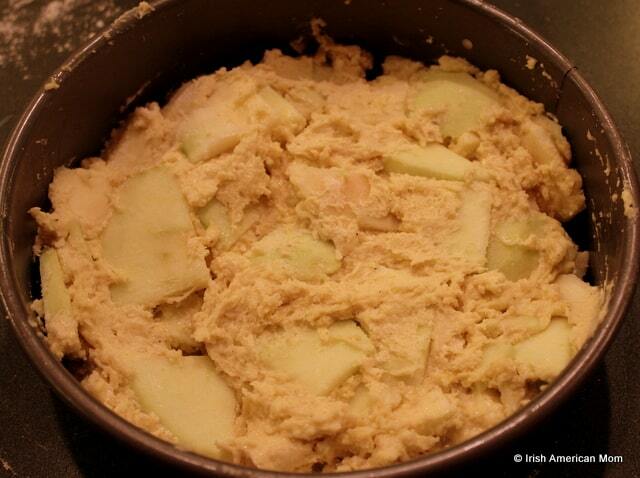 The mixture should resemble coarse meal. Step 13 Add enough cold water to form a stiff dough ball. 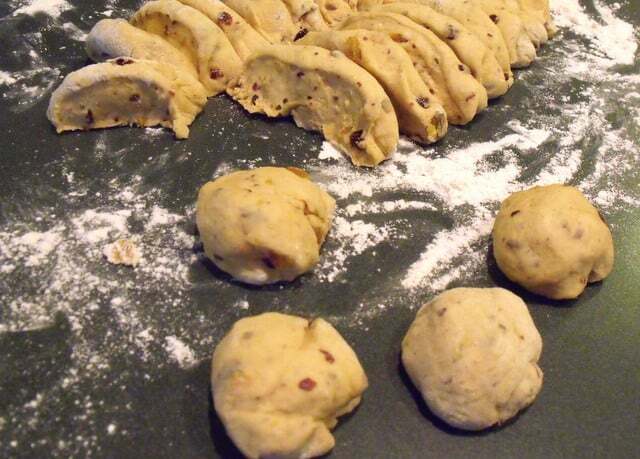 Cover and refrigerate until ready to roll the pastry and decorate the hot cross buns. Step 14 After 90 minutes to two hours the yeast dough should have doubled in size. 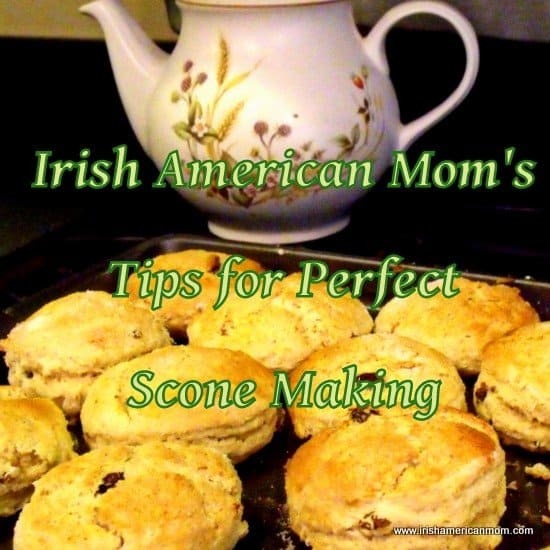 Turn out onto a floured surface. 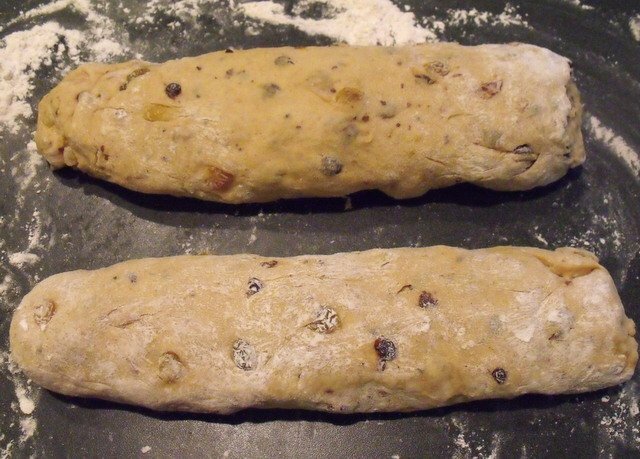 Step 15 Knead gently and form the dough into two equal log shapes. Slice each log into 12 equal pieces. 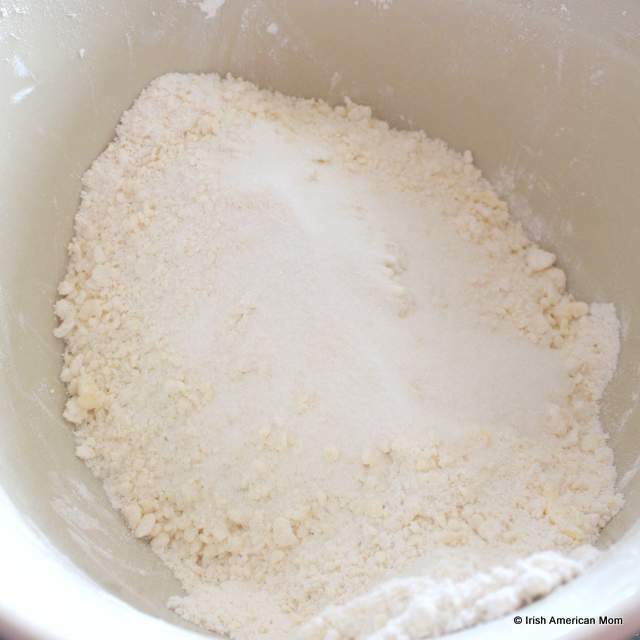 Step 16 Take each individual piece and knead gently with lightly floured fingers. 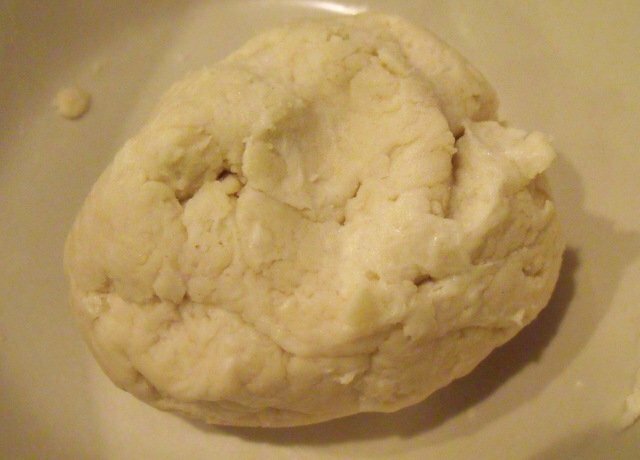 Form into a uniform dough ball. 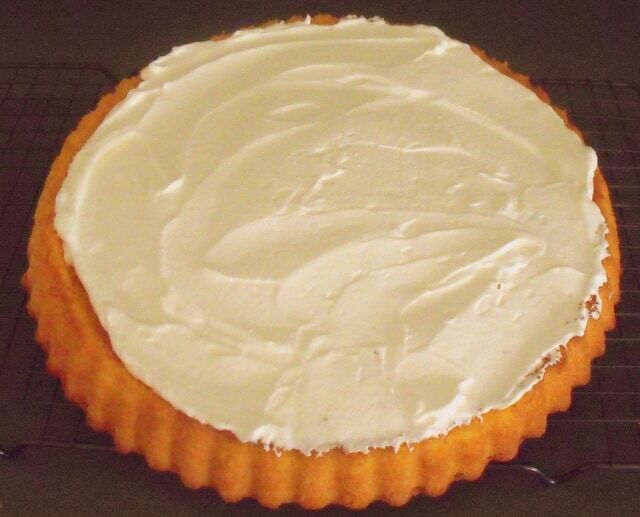 Place the mounds 1 and 1/2 inches apart on a buttered baking sheet. 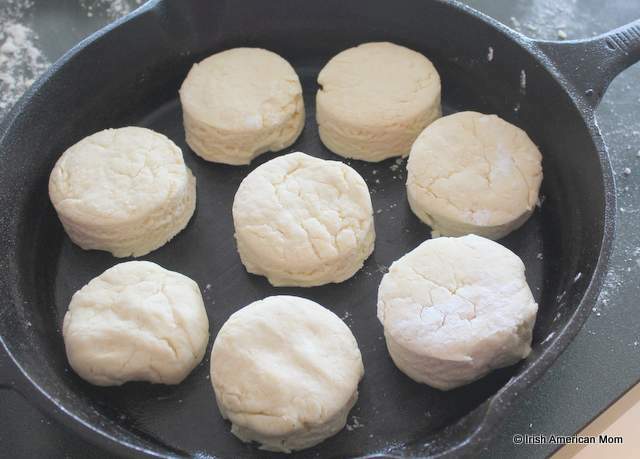 Two baking sheets are required for 24 buns. Step 17 Place the baking sheets, covered in clean dish towels or plastic wrap in a draught free spot. Let rise for an additional 45 minutes - the buns should once again double in size. Step 18 Pre-heat the oven to 400 degrees Fahrenheit. 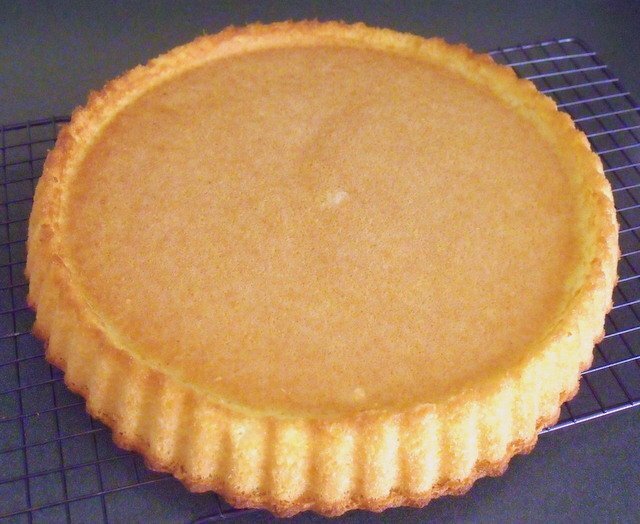 Roll the pastry into a rectangle approximately 12 inches by 8 inches. 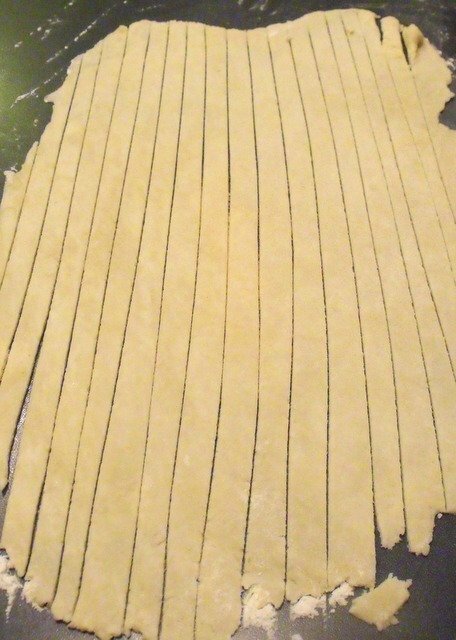 Cut lengthwise into 16 strips, then crosswise three times to yield 48 X 4 inch X 1/2 inch pastry strips. Step 19 Whisk the egg white with a dash of milk to create an egg wash. 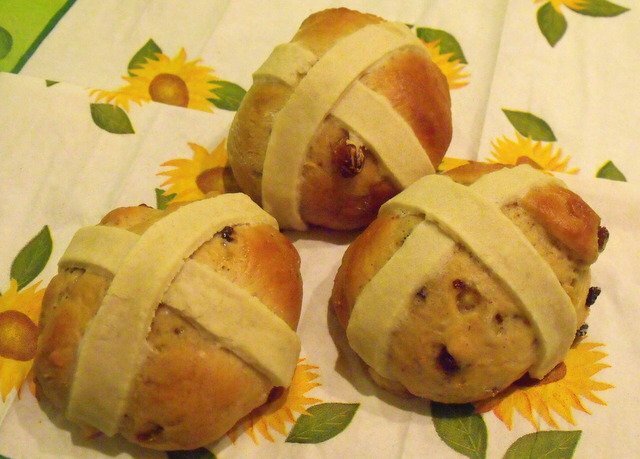 Step 20 Brush the top of the risen buns with the egg wash and place a cross on each bun using two 4 inch pastry strips. 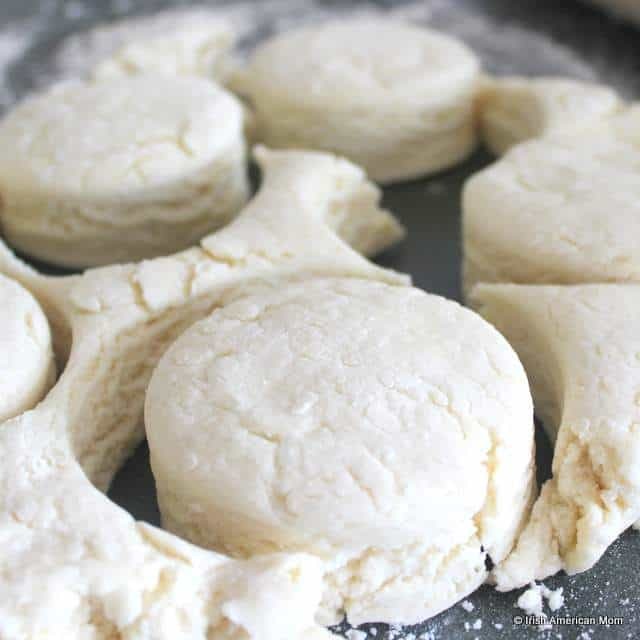 Cut pastry strips flush with the bottom of each bun. Step 21 Place both baking sheets in the oven, one in the middle and the other on the lower rack. Bake in a 400 degree Fahrenheit oven for about 15 minutes. 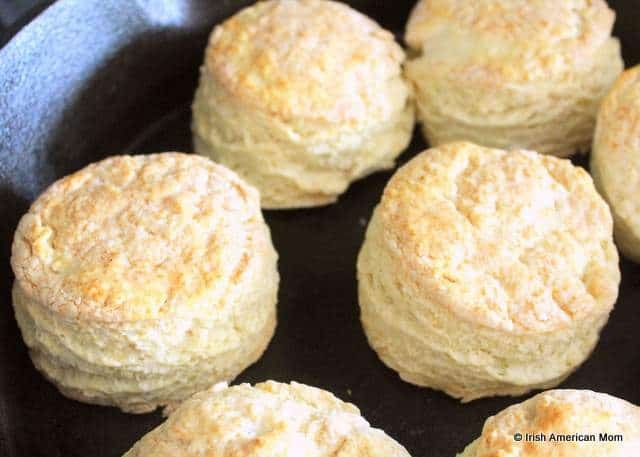 After 8 minutes switch the baking sheets. 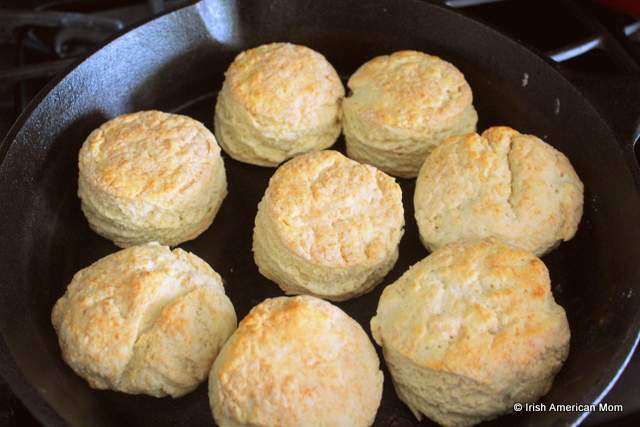 The buns should be a golden brown color when ready. Step 22 When baked, cool on a wire tray. 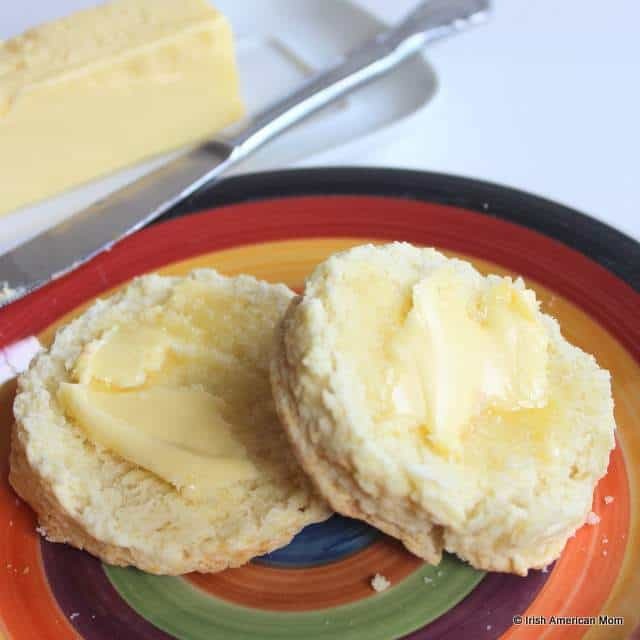 Serve warm with butter and jam if desired.